We serve part of Western North Carolina and Upstate South Carolina. In North Carolina, our region includes Polk, Henderson, and Transylvania Counties, and parts of Rutherford and other surrounding counties. In South Carolina, we serve the Landrum area, including parts of Greenville and Spartanburg Counties. We’ve protected over 45,000 acres in this region. See a map of protected lands. Carolina Mountain Land Conservancy and Pacolet Area Conservancy worked together to protect Little White Oak Mountain in Polk County, creating places for hiking, biking, hunting, and more. We’ve been able to achieve a lot so far, with the support of people like you! Here are some highlights from almost 30 years protecting land and water, for nature and people. Help us keep conservation going strong in our part of the Carolinas. We’ve helped to protect over 45,000 acres. 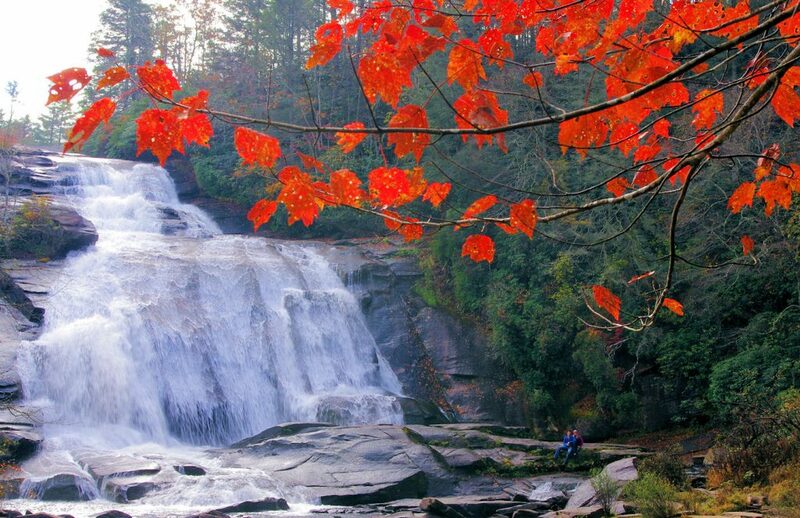 We’ve played a key role in creating beloved public lands, including Chimney Rock State Park, DuPont State Recreational Forest, Headwaters State Forest, as well as additions to the Green River Game Land and Pisgah National Forest. We’ve created numerous preserves and trails, including Bearwallow Mountain Trail, Florence Nature Preserve, Wildcat Rock Trail, Weed Patch Mountain Trail, Trombatore Trail, and Norman Wilder Forest. We helped to establish numerous local community parks and greenways. Find one near you. We’re spearheading the 130-mile Hickory Nut Gorge State Trail, designated by the state legislature in 2017. Over 35 miles are completed and more are underway. We hold over 200 conservation easements, which give private landowners a way to protect their land forever. We support good stewardship of our conservation lands—partnering with landowners and managing our own properties. We help to remove invasive plants, restore wildlife habitat, and protect streams and wetlands. We’ve helped create multiple preserves for research and education, which host public events, school groups, college classes, and field researchers. We support free speaker series on environmental and naturalist topics at Walnut Creek Preserve and Landrum Library. We lead AmeriCorps Project Conserve, which places 33 AmeriCorps members at 18 environmental organizations throughout Western North Carolina. 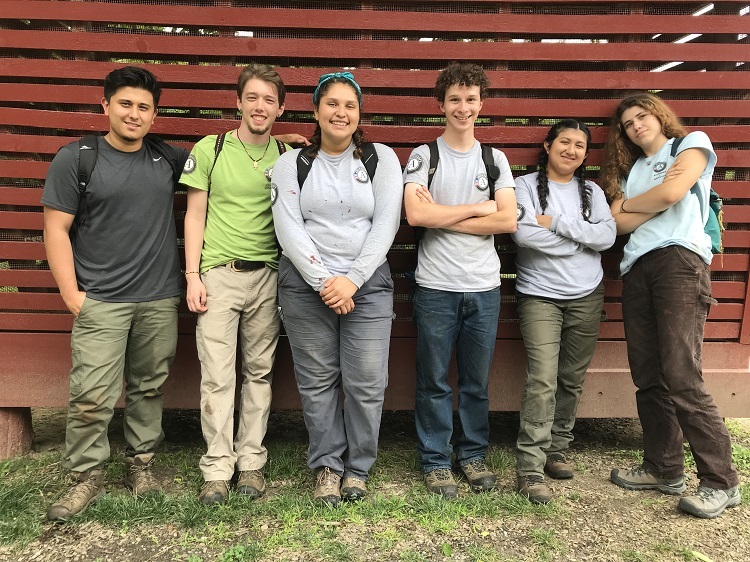 We offer Summer of Service, an AmeriCorps program for local 17-to-19-year-olds— providing, in some cases, a life changing experience. Conserving Carolina has helped to protect beloved public lands including DuPont State Recreational Forest. Photo by Mark File of Romantic Asheville. Conserving Carolina is dedicated to protecting and stewarding land and water resources vital to our natural heritage and quality of life and to fostering appreciation and understanding of the natural world.